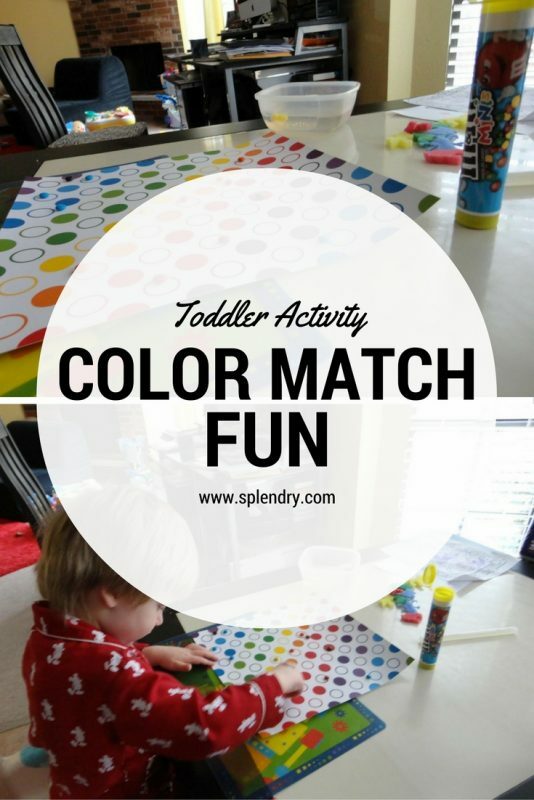 Here is a SUPER easy color match activity that I made up a few years back using things I already had in the house. 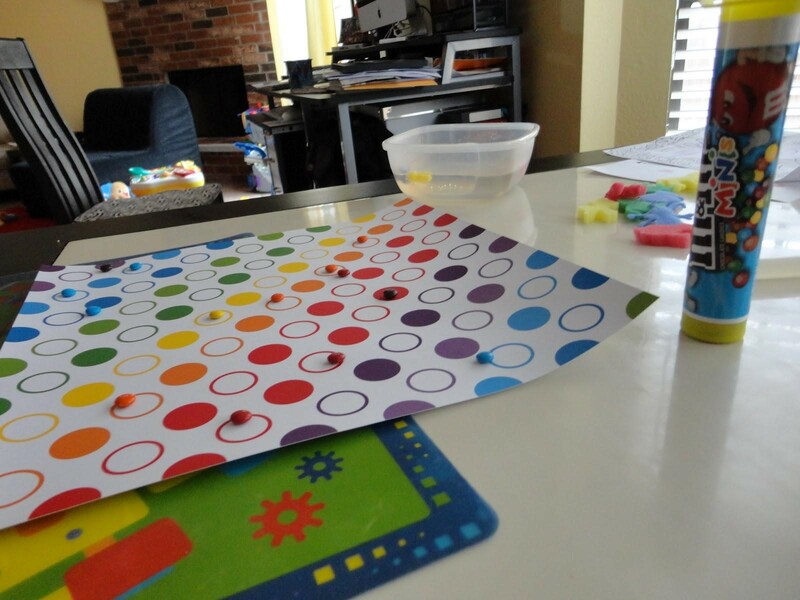 For Toddlers: Have your child match the color of the M&M to the circles on the paper. 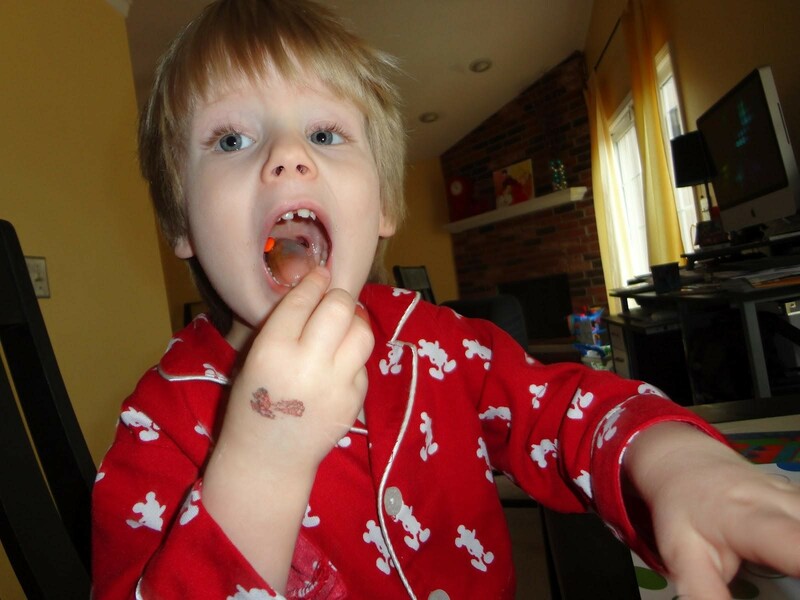 For Pre-Schoolers: Dump the M&Ms out and sort them first. 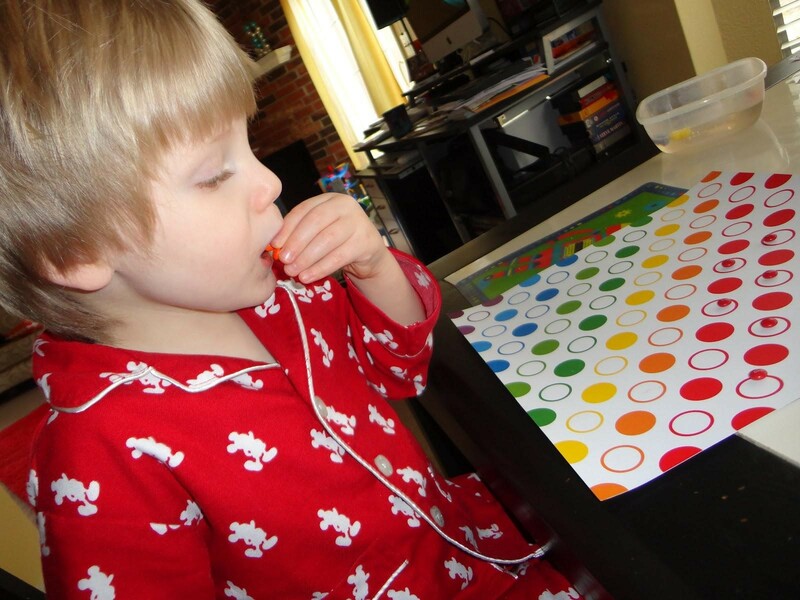 *Alternative: Grab some dice from a game board, have the child roll the dice to see how many red he gets to eat. Continue until all colors and rows have been eaten. This is simple and could easily be adjusted to what candy and paper choices you have on hand. 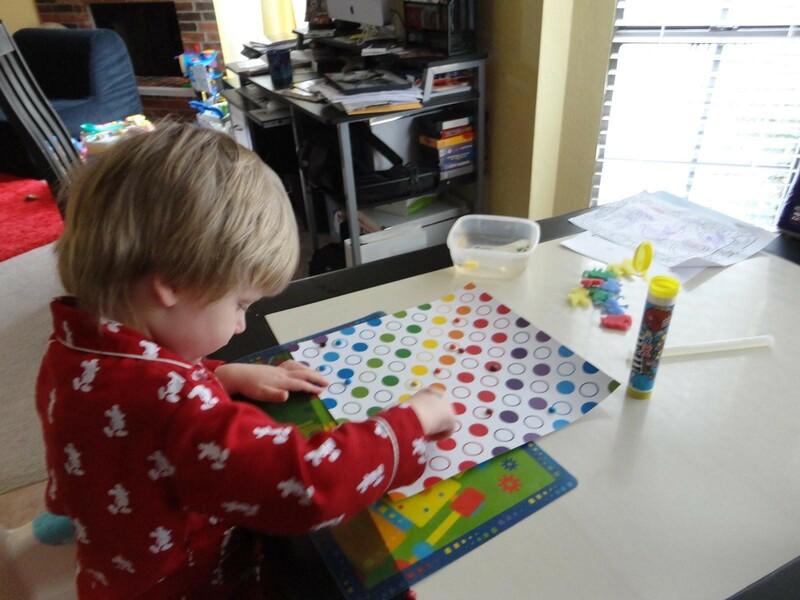 I loved this because the 2-year-old was learning (sorting, colors, counting…patience), but he was having fun and totally motivated by the end result! As you can tell, I am totally not above using candy to fill time to pad the gaps between the “trapped inside madness” that can come when you’re stuck inside!